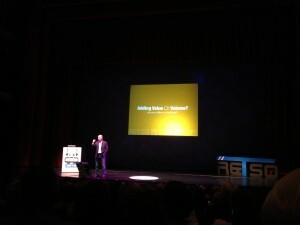 I just got back from one of the best real estate technology event – RETSO (ReTechSouth). 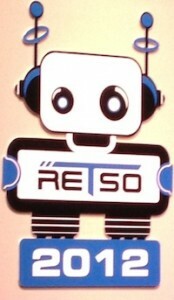 RETSO organizers say that the event is for doers. Indeed. If you are a doer and attended the event, you must have loved it. If you are not doing lot of stuff speakers talked about then you must now be motivated and have all the information you need to start doing. 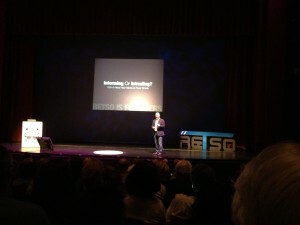 RETSO organizers had definitely put together a great team of speakers – each of them really the best at what they do. I could not have agreed more with Jeff. It was after a long time I heard someone give a true picture about social media usage to agents. I have always been of similar opinion and think each and every agent need to craft their very own marketing plan (which includes the social media marketing efforts). What works for others might not work for you. On top of everything, be your critic for what you put out there. If you are adding just volume and no value – PLEASE STOP. It is not good for humanity and it is not good for your business. I enjoyed Gahlord’s session a lot because I share the geeky element with him. He is a lot more knowledgable than I am though so there is a lot of learn from him. I was able to catch up with him after the session and really enjoyed talking to him. 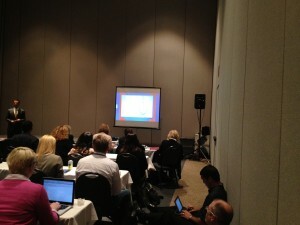 His session was all about making best of the feedback we get directly or indirectly from our customers and prospects. Just the listening to the feedback signal could be a single biggest learning source and key to success for any organization. the lead to user/buyer conversion chances increases almost 35000 (yes, 35 thousand) if an agent replies to a visitor query within 5 mins. Being a Loan Officer, Dan is quite deeply knowledgable of site designs and site traffic conversion techniques. He knows his stuff and is very smart in utilizing (almost exploiting ) technology to improve his business. In my opinion, perfecting website design is a much more basic step than the social media marketing. Agents who do not even have their own website (company / broker websites do not qualify) should not even have a twitter account. It is a strong statement but the goal here is to stress on the importance of having a website. Like Dan said – Your website is your sales agent working 24×7 only on your behalf. Please do yourself a favor and create/upgrade your website. If you have any questions about this, I can definitely answer those. I will also be writing couple of blog posts about how agents can plan technology expansion for their business. Todd talked about the pressing need to make changes to the website to be able to render the best possible view according to the device and resolution of the device. 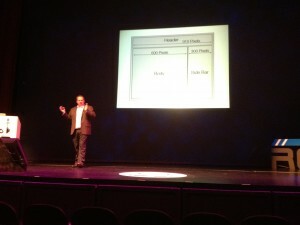 Todd presented some good examples of how other sites are achieving this. There is no question about the need to support different devices and screen sizes but in my opinion, agents need to fix other problems first with their website like changes to web design to improve the conversion rate and SEO and all that. Heres why – most of the time buyers uses mobile devices to browse listings when they are driving by the neighborhood they are interested in during the weekend. At such time, they are much more likely to use an app like Zillow, Trulia or such for browsing the listing and not agent’s website. With that said, I am not undermining the importance of responsive web but just that its not on the top of the priority list at the moment. Daniel was probably the most energetic speaker on the stage and talked very generically about how we need more filters and less content – which is the curation we need really. Daniel also said that we have to learn from our mistakes and have to stop following the “Content is king” mantra. Daniel mentioned his goal of the speech was to sow a seed in the mind of the listeners so that everyone starts thinking about how we can start filtering good content out not while just receiving but also during posting. He also stressed to not confuse aggregation with curation. Daniel was great and clearly communicated the messages he wanted to communicate. He mentioned upfront that the goal of the speech was not to talk about a specific tool or approach but to just drop this thought in people’s mind about how so much crappy content is getting put on the web because we are still operating the guidelines of “content is the king”. I could not agree more with him. Second part of this article to cover remaining of the sessions will be written soon.